FEMA Controls Honeywell GmbH. 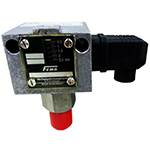 Honeywell FEMA pressure monitors and limiters for safety applications make a significant contribution to the safe operation of machines and plants. With certifications according to the Pressure Equipment Directive, the Gas Appliance Directive, and the Explosion Protection Directive, the devices can be used to a wide extent to monitor flammable liquids and gases, as well as steam and hot water. 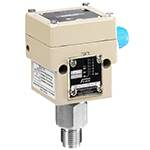 SIL2 Certification as per IEC 61508 makes them suitable for use in areas in which the functional safety of plants is calculated on the basis of failure probabilities.Additionally, Honeywell FEMA also carries pressure switches and pressure transmitters for air, gases and liquid media. 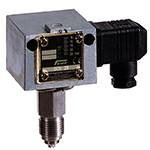 Especially our electronic pressure and differential pressure switches as well as transmitters can help solve a variety of measurement and switching tasks in the area of machine and plant construction. A wide portfolio of components for air conditioning technology round out the company�s portfolio.The history of our company begins in 1938 in Stuttgart. Two engineers, Vollrad Weber and Walter Freund, founded "Weber und Freund OHG." 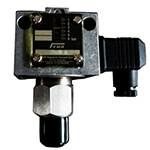 The product line included mechanical pressure switches, thermostats, and magnetic valves for industrial applications and heat technology.After the company was taken over by ZENTRA Albert B�rkle KG in 1970, the products were re-engineered and new distribution structures were established. There was a big breakthrough in 1974: With newly designed pressure and temperature switches, FEMA was a pioneer in the area of the safety monitoring of pressure vessels.